Es war ok für eine Nacht. Zimmer eher gross, jedoch eher schäbig. Zu weit vom Zentrum. 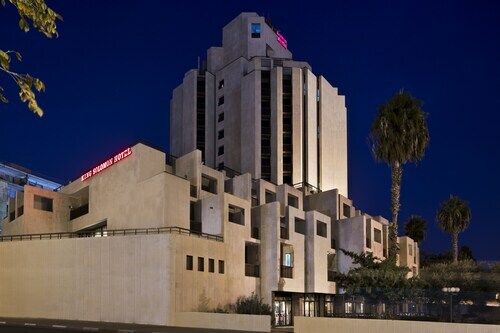 Located in Mamilla, this hotel is within a 15-minute walk of Montefiore Windmill and Mount Zion. Western Wall and Jaffa Gate are also within 1 mile (2 km). Nice hotel next to Herodias Gate (6-7 minutes to walk). Friendly staff. In winter ask for a second blanket. The hotel is an institution and thats where it ends. All else are very mediocre. Cant believe it still manages to keep the Leading Hotels of the World plaque up at the main entrance. À 10mn de la vieille ville très bien placé et proche du tramway. Très bel hôtel . So, you're thinking about going to Jerusalem? 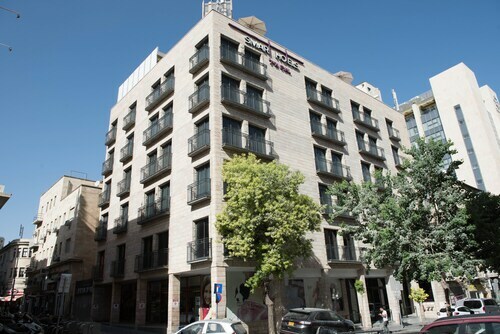 If you'd like to find accommodation that's located close to the sights, you can enter your holiday dates and then use the filters beside your hotel search results to find somewhere to stay near the area's attractions such as Machane Yehuda Market, Knesset and Israel Museum. 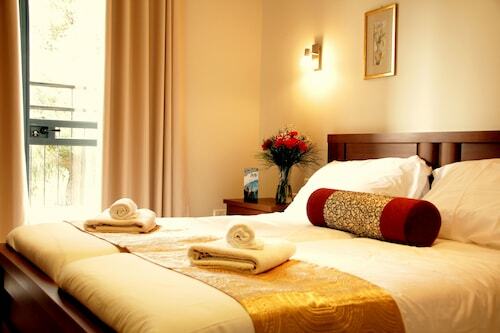 You can choose among 258 Jerusalem hotels and accommodation choices to find a place you'd like to stay. 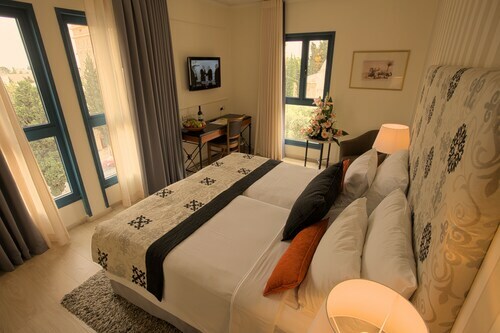 When you're thinking about where you'd like to stay in Jerusalem, you can easily and quickly search ebookers for hotels offering services such as high-speed Internet, a swimming pool or free airport transport. You can take advantage of the filters to narrow down your search for a hotel, so you can get the services that are important to you, such as an in-room kitchen or air conditioning. When arranging your Jerusalem getaway, you can also use ebookers to look for a convenient flight into Tel Aviv (TLV-Ben Gurion) Airport. You can narrow down your search by number of stops, airline or time of departure to find the one that'll meet your needs. When is the Best Time to Explore Jerusalem? 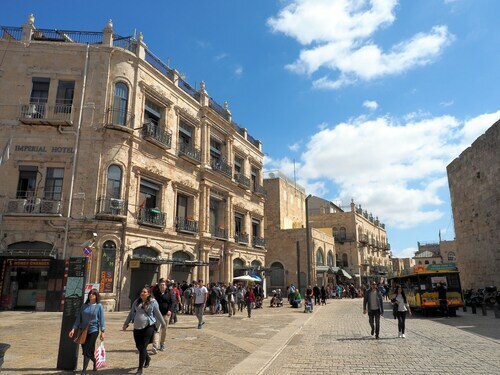 If you're curious when is the best time of year to visit Jerusalem, you may find this information about seasonal weather helpful when you are organising your getaway. The warmest months in Jerusalem are typically July and August, whereas the coldest months are usually January and February. The months with the most rain are January and February, whereas September and May have the least. From January to March, the average daytime temperature is 20°C and at night it is 5°C. Seasonal average rainfall is 320 mm. If you visit between April and June, you can expect an average temp of 30°C during the day and 10°C at night. Average rainfall during this season is 15 mm. The daytime average temp from July to September is 31°C and the nighttime average is 16°C. Average precipitation for this season is 0 mm. Between October and December, the average temp during the day is 28°C and 6°C at night. Seasonal average rain is 148 mm. The average annual rainfall in Jerusalem is 483 mm. Leider haben sie keine Küche und die Cafés wo man Frühstücken kann, öffnen erst um 07.30 Uhr, was ziemlich spät ist, weil die meisten Museen, Kirchen, etc. in Jerusalem früh öffnen und früh schliessen. Zur Not kriegt man Kaffe und Tee mit klitzekleinen Gipfelis im Hotel. Es hatte auch aufgerissene Tapete und Schimmel neben der Balkontüre. Das Personal ist aber sehr hilfsbereit und zuvorkommend. Das Quartier ansonsten super. Die Sauberkeit schwächt ziemlich stark! Die Lage ist hervorragend! Die Lage beim Jaffa Center ist top. Man ist zu Fuss in 10-15min in der Altstadt und nur 4 Tramstationen vom Bahnhof entfernt. Das Personal ist nett und das Zimmer gut. 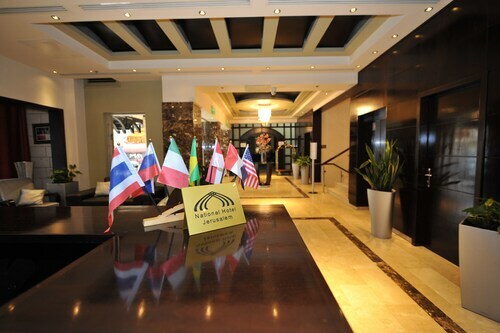 We had an enjoyable stay and hotel is in a good central position. Gute ÖV-Anbindung oder zu Fuss unterwegs sein. Transfer Flughafen gegen Aufpreis.